Authorities are investigating whether or not the incident was a suicide attempt. 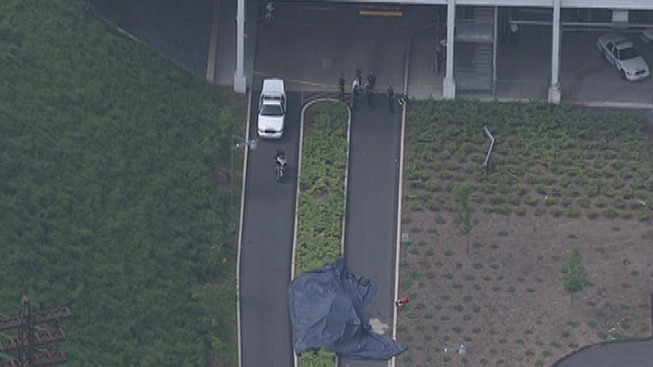 One man is dead after driving his car off the 7th floor of a Casino parking garage in an apparent suicide. The accident happened Tuesday morning around 9:15 a.m. at the Sands Bethworks Casino & Resort in Bethlehem. Police say that 21-year-old Robert Jamison of Trexlertown drove his car through the steel barriers, sending it flying 50 feet before it landed near the traffic lanes of a surface parking lot. Jamison suffered severe head injuries from the crash. He was taken to St. Luke's Hospital-Fountain Hill where he later died during surgery. The coroner confirmed that Jamison's death was a suicide. Police suspected that it was since the steel barriers that he drove through are made to withstand a speed of 65 miles per hour.